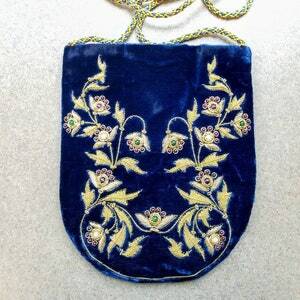 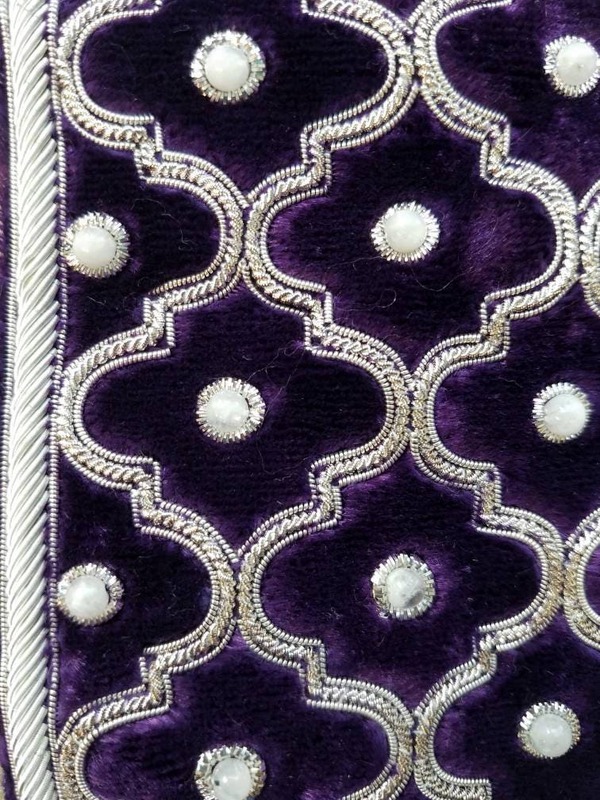 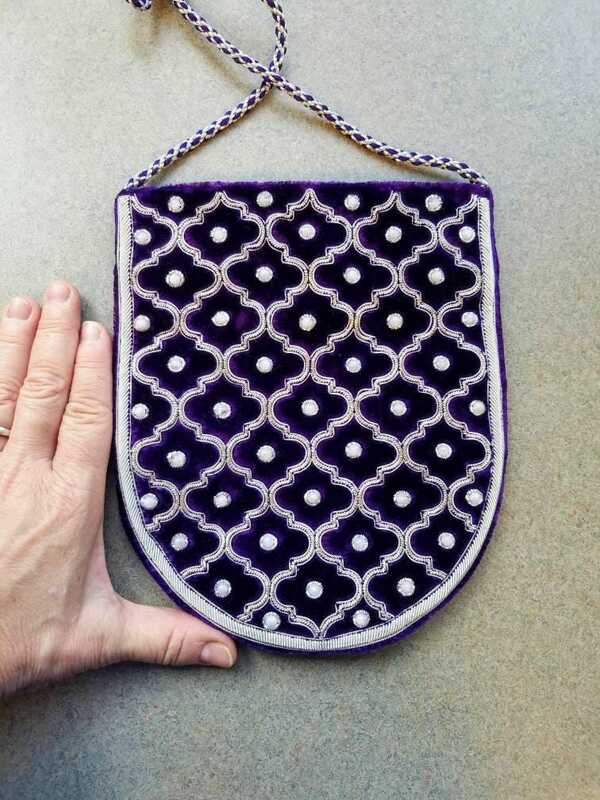 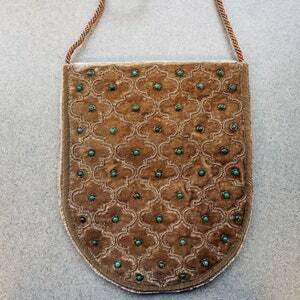 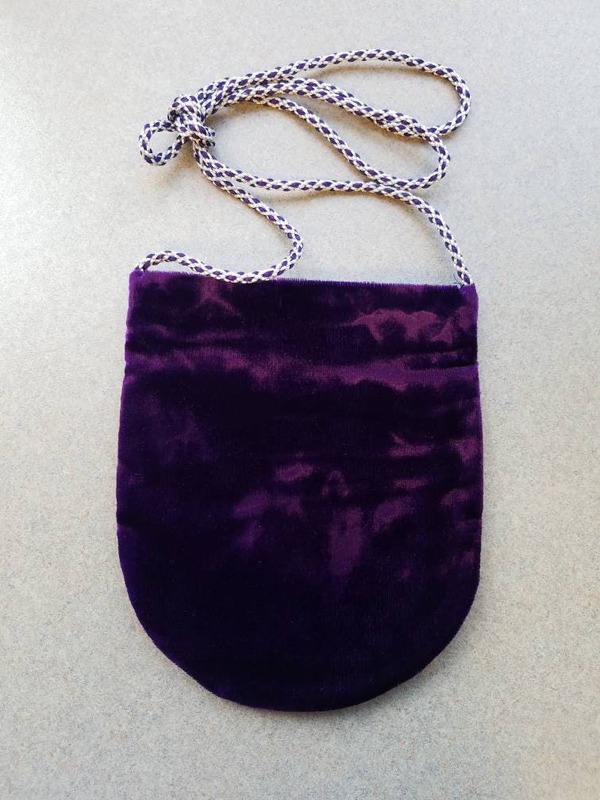 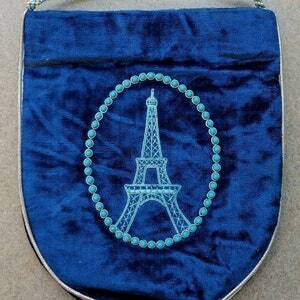 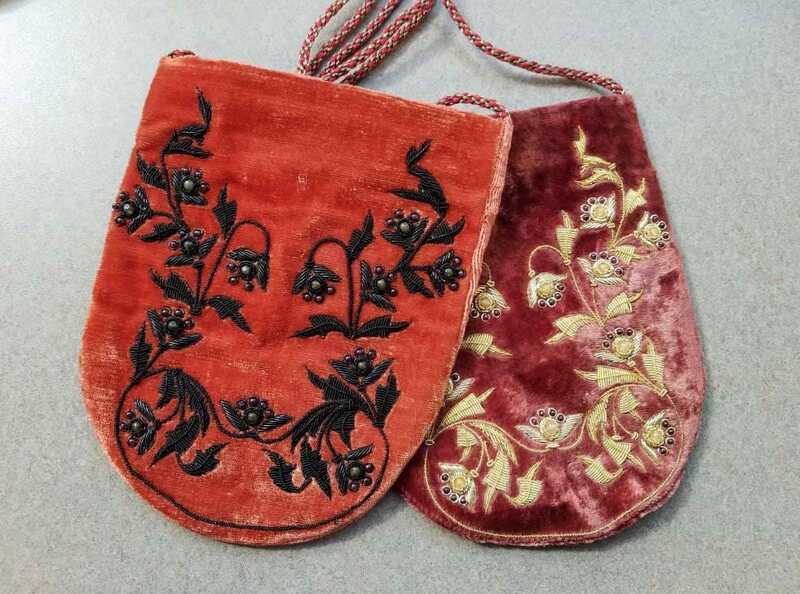 Hand embroidered purple velvet crossbody bag. 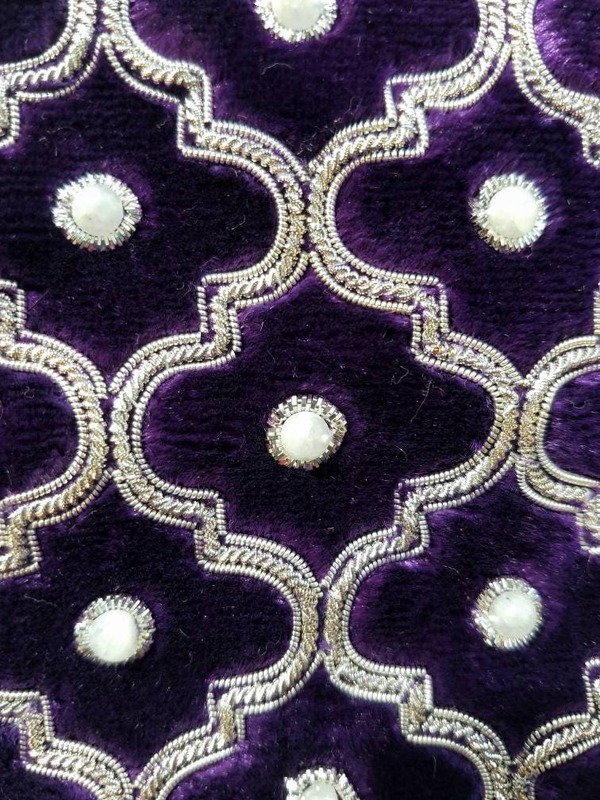 Finely detailed and precise embroidered lattice pattern in silver colored metallic threads. 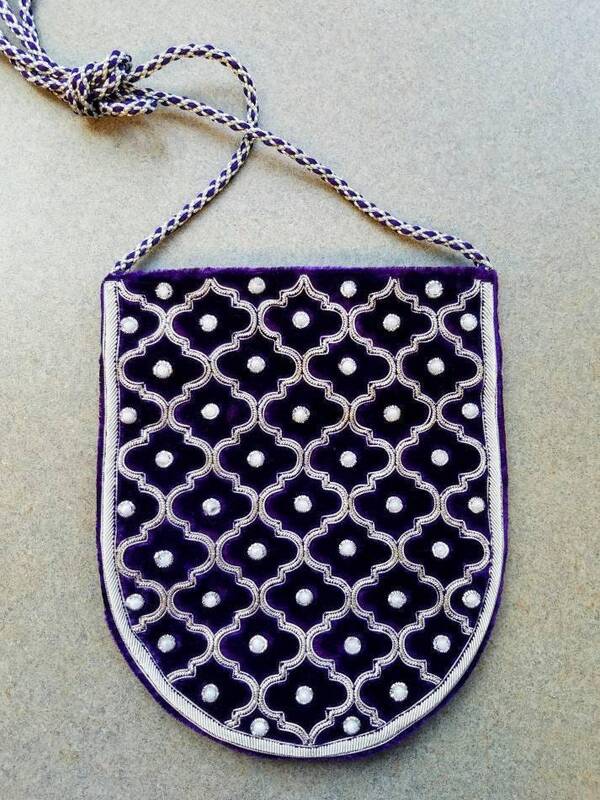 White matte beads sewn in, each with a collar of silver threads. 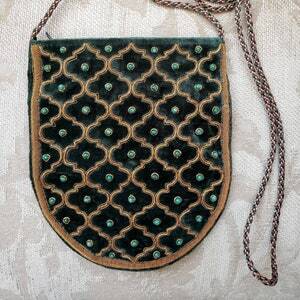 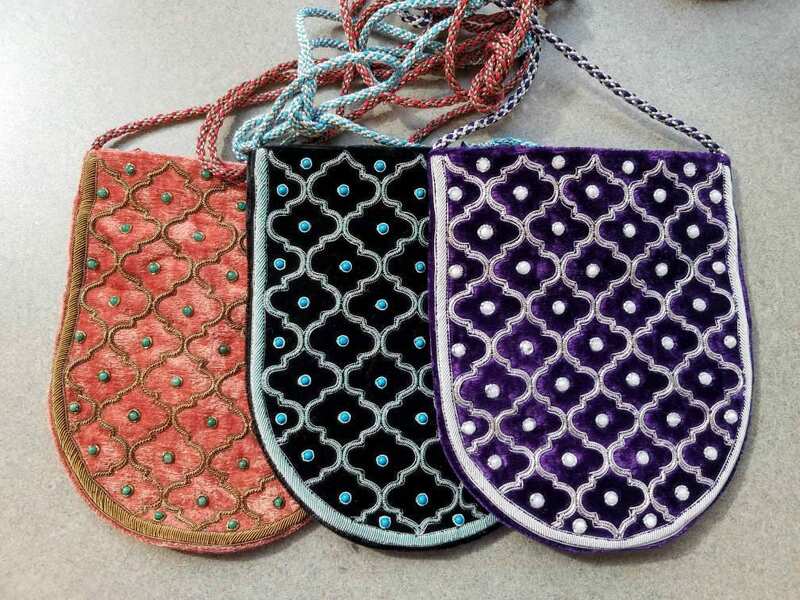 Made by a master craftsman in the historic city of Agra, home of the Taj Mahal. 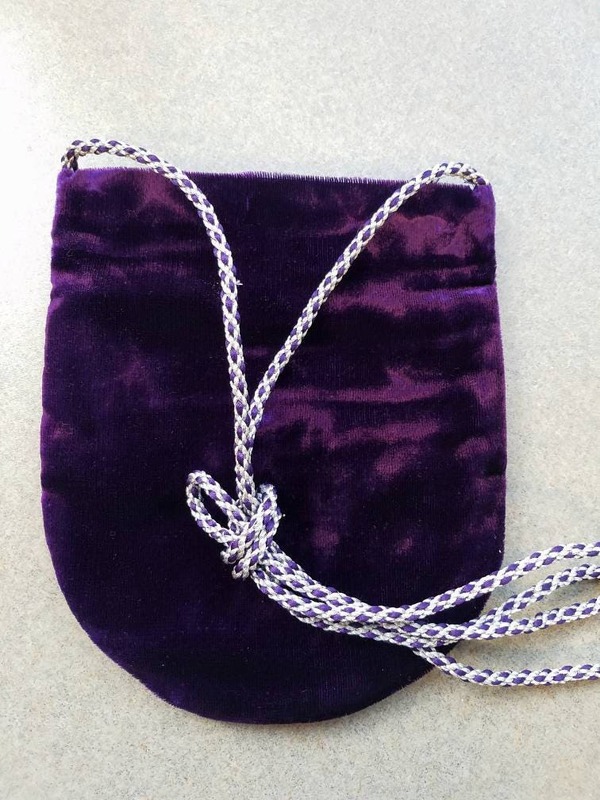 Attractive 30 in long woven cord strap in metallic silver and royal purple. 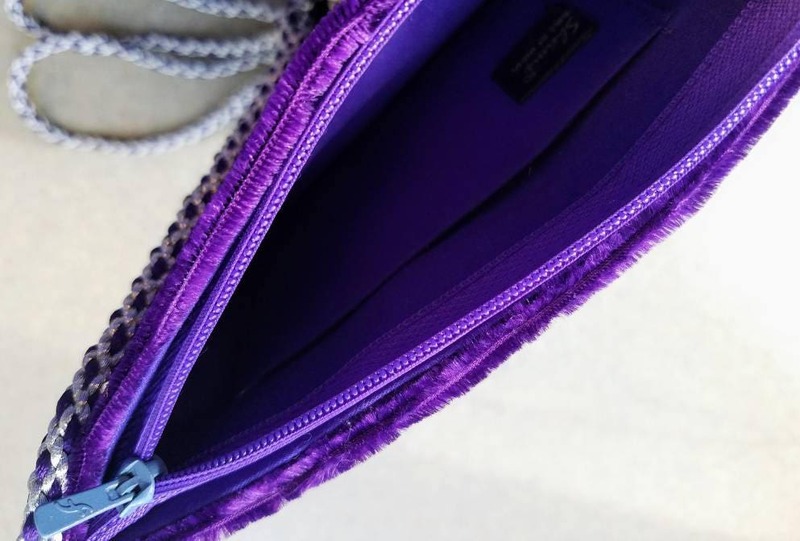 Can be shortened by simply tying a loop in it, to create a perfect fit for you!